St. Clement’s Island is sometimes referred to as the “Plymouth Rock of Maryland” as it is the site of the first landing of colonists in that state. These settlers departed England on the feast day of the patron saint of mariners, St. Clement, and bestowed that name on the island when they landed on March 25, 1634. As the island is only 455 acres long the settlers chose to settle on the mainland, founding St. Mary’s City, although a few of the colonists did settle on this island. One of the settlers remaining on the island was named Dr. Thomas Gerard, and in 1669 he gifted the island to his daughter Elizabeth when she married Nehemiah Blackistone. This island is located in the Potomac River and had a military value during both the Revolutionary War and the War of 1812. In both of these wars the British seized the island to assist with raiding and blockading campaigns. 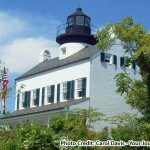 From 1848 to 1850 congress approved a total of $5,000 for a lighthouse which was then built by John Donahoo. 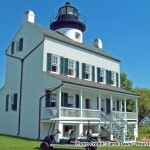 During the Civil War the island was seized by the South, who planned to destroy the lighthouse. 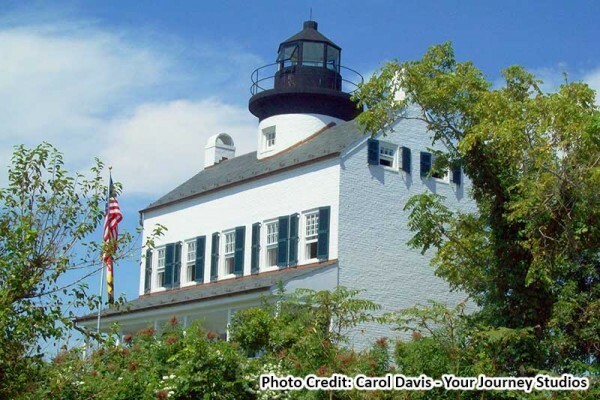 Lighthouse keeper Jerome McWilliams convinced the Confederates to spare the structure, explaining that his wife was about to give birth and that moving her off of the island could result in both her death and that of the unborn child. The lighthouse was ultimately decommissioned in 1932 and 24 years later was severely damaged by fire when a shell from the nearby Naval Proving Ground exploded near it. The walls were later razed by the Navy. The rebuilding efforts were able to begin in 2007. Funding was provided by St. Mary’s County, the State of Maryland, and several other individuals. Due to the lack of modernization on the island, the 300 tons of building materials were offloaded by hand or with a skidder. All of the cement also had to be mixed by hand and transported with a wheelbarrow. The replica lighthouse was completed in 2008. 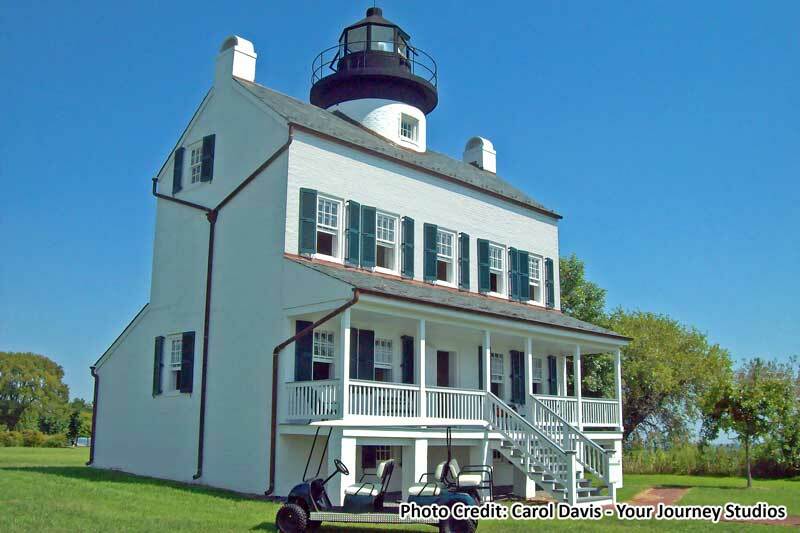 Parrett provided fixed sash set and spiral balance hung windows for the lighthouse. South American Mahogany was utilized to ensure longevity of the units. To match the historical aesthetics of the project, 1/8” thick single pane vintage restoration glass and 1” wide TDL bars were incorporated.